How does WiFi work on an aircraft? I've noticed that when a WiFi system is set up on an aircraft, a small bulbous structure is added. What does it contain and how does this WiFi system work? The small bulb houses the antenna that provides the satellite communications for the internet link. Inside the aircraft several wireless access points provide a WIFI signal to the passenger's equipment. The wireless access points are connected to a central modem which in turn is connected to the transceiver unit. The transceiver uses the rooftop antenna to communicate to a geostationary satellite. The antenna is a small dish or phased array that is aimed at the communication satellite using servo motors and/or electronic beam steering. 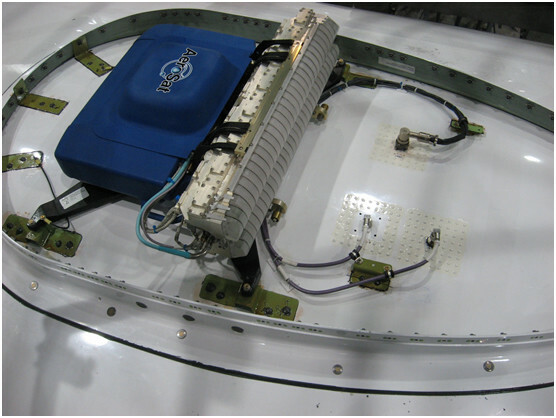 The antenna control system receives information about the position and attitude of the aircraft to calculate the relative position to the geostationary satellites that provides the internet communications signal. There are also systems available on the market that use a ground based network to communicate with the internet. These systems cannot provide global coverage since the aircraft needs to be in line of radio sight of a ground based antenna. Not the answer you're looking for? Browse other questions tagged aircraft-systems avionics or ask your own question. How does an Airbus aircraft connect to the Internet? 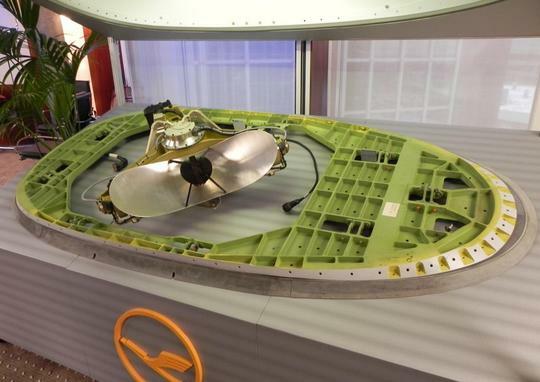 What is this device mounted on the fuselage of Lufthansa planes? 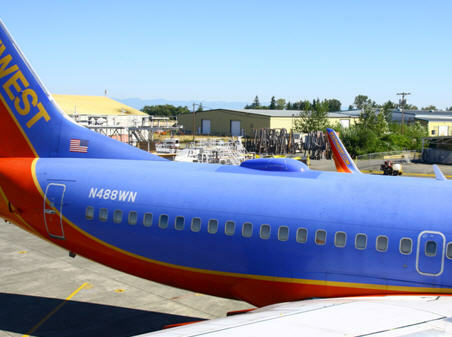 What is the lump on top of the Boeing 737? What is this fuselage-side aerial used for? How does an alpha (AoA) vane work? How does an aircraft derive winds aloft on its own? How does the Guardian counter-MANPADS system work? What is an Enhanced Vision System? Does the wifi uplink antenna affect aerodynamics or efficiency? How do virtual circuit breakers work? DO-254 and microprocessors: how does it apply? How does the nitrogen generation system in a Boeing 777 work? How does pendulous vane work?